Stylish squat triangles dangle from the ears. 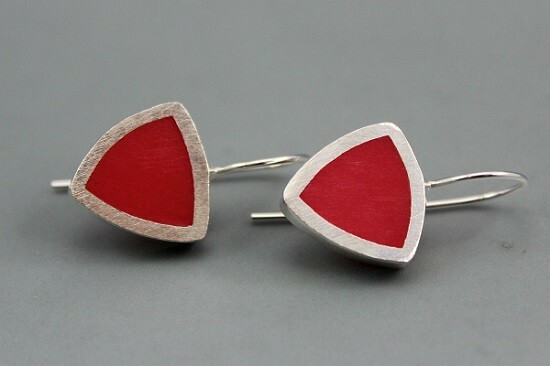 The earrings 1.5cm drop and 1.5cm wide with a nice long ear hook. I can make these sets in any colour that you want, contact me if you would like a custom order.